sorry but I cannot find any solution for your problem. I think it could be a problem with your joomla or k2 template because everything works on my page. The problem is that the wrong menu item set as active. is the problem only on k2 items or also with normaly content items? can you provide me backend access so I can take a look at your menue structure? sorry - i was having an issue with ninja forums - so took it offline and installed kunena which had a conflict. I just wanted to try a second time but your site don't work at this time. We would be willing to pay for a fix. Ok I will take a look of it. Please PM me your details. Ive tried it on multiple templates - all with the same results. I can PM you the url and login if you like. the module JS Toolbar Everywhere includes only the original toolbar from jomsocial. I have no idea why the active menu item is not marked correct. On my site its work correct e.g. with the blog or the games menu item. Do you try another jomsocial template? I'm having an issue though with menu tabs that go to either K2 or Joomla articles. Version 2.6.1 installed on Joomla 1.5.26 with JomSocial 2.4.2. Only the first item highlights when clicking on other K2 or Joomla article tabs. 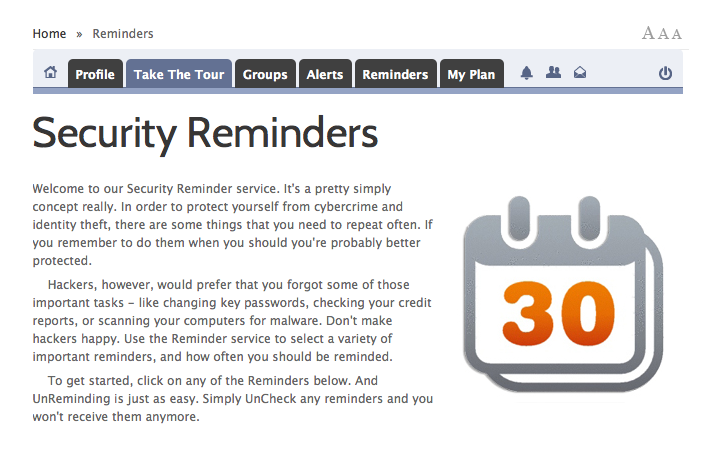 See attached below - highlighted tab should be "Reminders", not "Take the Tour". Any thoughts?